Homeschooling Mom of Four: Welcome 2014! Last night was maybe the third night in our marriage that Doug and I both (willingly) stayed up till midnight without the demands of an infant. Our little church held a New Year's event which included families, friends, games, food (we know how to put on a good spread!) and worship music. It was a really good evening and I'm so glad we went. To be with some great people and share laughs and stories was a wonderful way to bring in 2014. Arianna was the only kid who came with us and she was thrilled to start the first moments of the new year with two of her very good friends! Andrea willingly watched Sarah for me while Joshua had a friend over for the night. If I look back to things that occurred last year, I can recall a few highlighted events and moments. I think last year was probably the biggest breakthrough in Doug's depression. The medications began to take effect and the doses at last were helping him maintain a more even keeled mentality. In August, our family began to attend a little country church which is actually a campus of the main Alliance church in Spruce Grove. This transition has been a wonderful one for us and we feel very much "at home" there. Change has always been very hard and even more so when I had attended SGAC since I was two years old. I've told Doug and a few others that I don't know if we realized we were searching for something until we found it. We "found" Calahoo and have been blessed with new friends as well as a church home. This has also allowed Andrea to play an active role on a worship team and additionally Doug has led a few teams. I love that music is being brought back into our home and it makes me happy! My main blogging journey has to do with Sarah updates. The reason I do this is so that everything that she does or doesn't do is recorded for my own memory. Here's a recap of her year: *We had received inconclusive blood work results after waiting for 15 months. *Her 2 years of Early Intervention had come to a close once she turned five. *She saw the pediatrician four times to follow her growth curve. *She's growing, just doing it much slower than typical kids. *Her speech has moved ahead and her pretend play is taking off like a rocket. *We've had an amazing respite care giver (who we sadly have to say good-bye to) and even she noticed big changes in Sarah since April. Another big part of my blogging is homeschooling. This fall has taken a bit of a different turn, especially for Joshua and I think the change has been really beneficial to him. He is doing three classes online and is receiving exceptional grades. I am extremely proud of him! The other two girls are continuing with a more traditional approach but are both excelling in their math and language arts programs. Sarah is doing a play filled *kindergarten* year. She's learning how to play pretend, how to clean up afterwards (much reminding is still needed) and she loves to match sets of toys together. She also can get fixated on desiring one specific piece and it's up to whoever is with her to help find it. She'll say "missing piece" and it's usually a small Duplo bit that simply MUST be found. It's hard to look back over the past 365 and think of the most memorable events of the year. Nothing overly exceptional took place for us but life remained an exciting journey. The past is now behind us and we can reflect on it, see what we learned from it and then move onward. 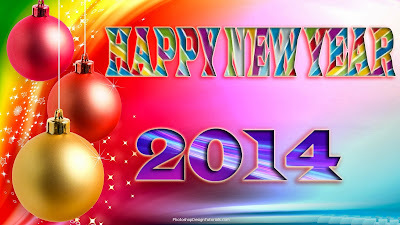 May you all be blessed in 2014! Happy New Year! Sounds like the changes you've made are working out. I'm always so afraid of change, but change can be good! Here via Love That Max. I'm so glad you had aoog nnew year's celebration at church. I love worship music. lso great that youf oudn this church last year and it's so great. I also found a suitable church in 2013. I mostly come here for Sarah updates but wanted to let you know I'm alsos o proud of Joshua for doing so well in his online classes. I'm very happy that Doug's depression is better. Wishing you a great 2014! Here via Love That Max. I'm glad you had a good new year's celebration at church. I love worship music. Also good that you foudnt his yhurch last year and it's so great. I also foudn a suitable church last year. I mostly come here for Sarah updates b ut I want to say I'm also so proud of Joshua for doing so well in his online classes. Also glad htat Doug's depression is better. I want to wish you a happy 2014. Happy New Year! It was great reading a summary of your year! We have begun the search for a new, smaller church and I am looking forward to finding one that is a perfect fit for our family; I am glad you found one for your family!